Severe mouth pain, knocked-out teeth, or an abscessed tooth should all have you headed to an emergency dentist right away. Dr. Lisa Heinrich-Null D.D.S. is located in Victoria, Texas, to serve the emergency dental needs of your whole family. If you're dealing with a dental emergency, don't wait. Call the office nearest you or schedule an appointment online. An emergency dentist addresses any dental problem that requires immediate treatment to stop ongoing tissue bleeding, alleviate severe pain, or save a tooth. Dental emergencies are typically any situation in which you need to save a broken or knocked-out tooth. 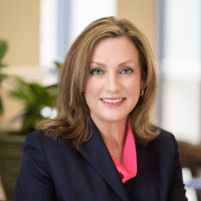 Getting to Dr. Lisa Heinrich-Null D.D.S. within 30 minutes of your tooth or mouth injury could mean the difference between saving or losing the tooth. Chipping a tooth in and of itself doesn't always warrant emergency dental care. If the tooth is chipped, but it doesn't appear as if you'll lose the tooth entirely, it's probably not a dental emergency. Even so, you can't go wrong by calling an experienced dentist at Dr. Lisa Heinrich-Null D.D.S. They're trained to handle dental emergencies and can walk you through what to do with your tooth until you can visit the office. Act quickly, and there's a good chance you can save a knocked-out tooth. Without immediate dental care, you could lose the tooth entirely. Do your best to rinse your mouth and the damaged tooth. Rinse your mouth and tooth with lukewarm water. Avoid touching or holding the tooth's roots. Hold the tooth by the crown (the smooth white top part) as you rinse it. If you can, hold the cleaned tooth by the crown and reinsert it into the empty socket. Close your mouth and bite down gently on the tooth, if you can. It might help to bite down on a soft piece of gauze until you can visit Dr. Lisa Heinrich-Null D.D.S. Call the office right away, or have someone call for you who can explain the situation. If the tooth cannot go back into the empty socket, hold the tooth in your mouth next to your cheek or keep it in a glass of milk. The moisture will help prevent the roots from drying out. When you're facing a dental emergency, call Dr. Lisa Heinrich-Null D.D.S. for expert assistance.